As I have said on more than one occasion in reference to the Indianapolis Colts, they find new and creative ways to win each and every week. Some weeks, it is Peyton Manning and his arm, some weeks it’s their secondary, while sometimes they come from behind. 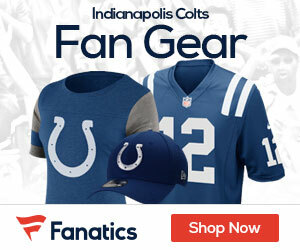 The Colts didn’t have to rely on a 300-yard game from Manning or a comeback attempt during Sunday’s game against the Tennessee Titans at Lucas Oil Stadium; instead, they more or less played “keepaway” with the ball, allowing Indianapolis to tie an NFL record with their 21st consecutive win, in this case a 27-17 decision over Tennessee. 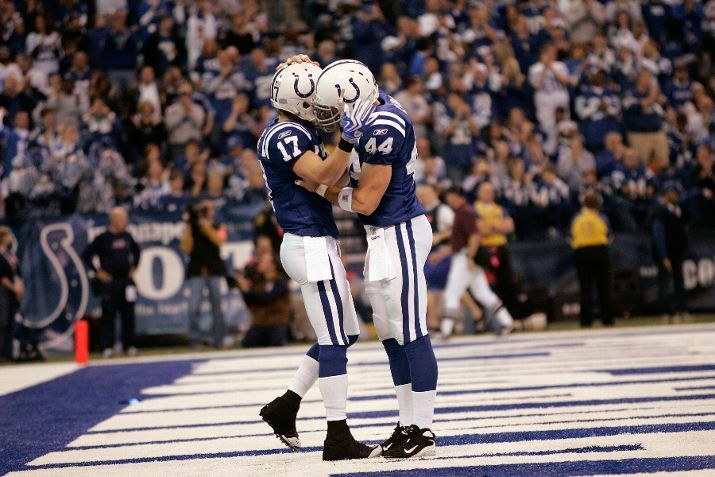 The Colts started things by going on a 75-yard drive, capped by a 8-yard Joseph Addai touchdown run, taking a 7-0 lead; after a 20-yard foeld goal by kicker Rob Bironas, Indianapolis drove 77 yards down the field over nearly 4 minutes with Addai hitting paydirt on a 1-yard run, boosting the Colts’ advantage to 14-3. Although the Colts failed to cash in on the Titans’ first turnover, Manning would capitalize as he threw a 4-yard TD pass to Austin Collie, padding the Colts’ lead further at 21-3. Tennessee finally got back in the game on a 6-yard Vince Young-to-Kenny Britt TD pass, narrowing their deficit to 21-10. With no time left in the third quarter, Matt Stover connected on a 43-yard FG, giving the Colts a 24-10 cushion; Stover would put the nail in the Titans’ coffin as he converted a 36-yard FG with 3:14 left in the game, icing the victory for Indianapolis. Manning had a decent outing for the Colts, going 24-for-37 for 270 yards with a touchdown while Young went 24-of-43 for 241 yards with 2 TD’s and an INT. Addai led the Colts rushing attack with 79 yards on 21 carries and 2 TD’s while Chris Johnson led Tennessee with 27 carries for 113 yards. Pierre Garcon led all Colts receivers with 6 receptions for 136 yards while Reggie Wayne caught 4 for 48 yards; Bo Scaife led the Titans receivers with 5 receptions for 56 yards and a TD while Britt caught 3 passes for 46 yards and a score. Indianapolis (12-0) goes for win number 13 and a NFL-record 22nd win when they host the Denver Broncos next Sunday while Tennessee (5-7) returns home to host the St. Louis Rams – also next Sunday.